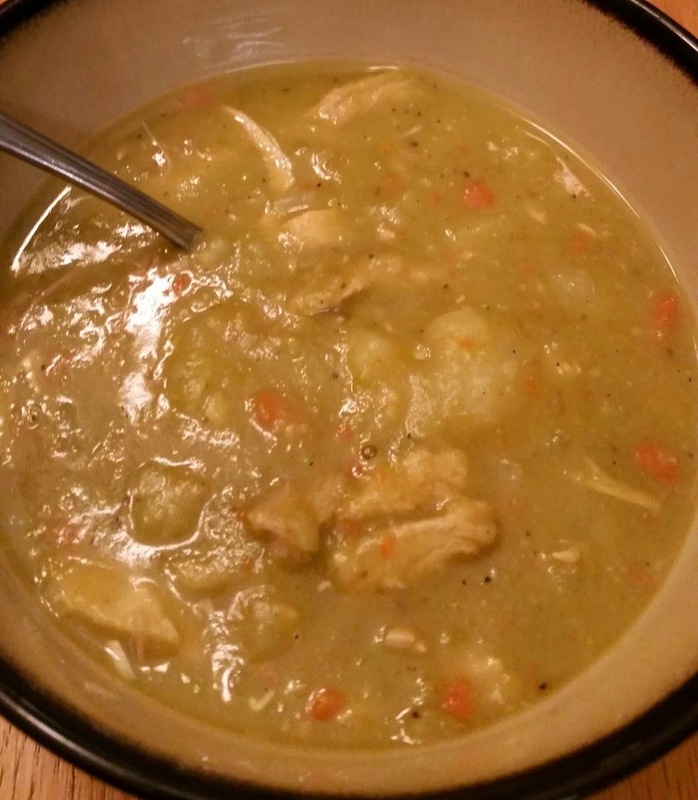 I cooked a turkey last week, so I've got turkey and turkey broth - perfect for making soup! Heat the oil in a 5-6 quart Dutch oven over medium-high heat. Add the onions and sauté, stirring occasionally, until lightly browned, about 6 minutes. Add broth, water, split peas, potatoes, carrots, salt, celery seeds, bay leaf and white pepper. Cover and cook on low heat until the vegetables are tender, about 1-1/2 hours. Add the turkey or chicken and heat through. This is also good with chicken broth and cooked chicken, if you don't have any turkey. A 1 lb. bag of split peas is about 3 cups, so sometimes I just use the whole bag. Also, you can adjust the amount of potatoes and carrots to suit your tastes or just to use whatever you have on hand. It's soup - the measurements don't have to be exact. And, it gets better after it's been refrigerated and reheated.